Summer is here! Now more than ever you need to nab a few Hoos to keep your face and neck protected from the sun. All Hoo-rags provide up to 30 UPF sun protection which will come in very handy especially out on the boat, yak and paddle board where you’re likely to get a not-so-nice shade of lobster red. And while you’re out there, we don’t want any of you losing your keys to a watery death. 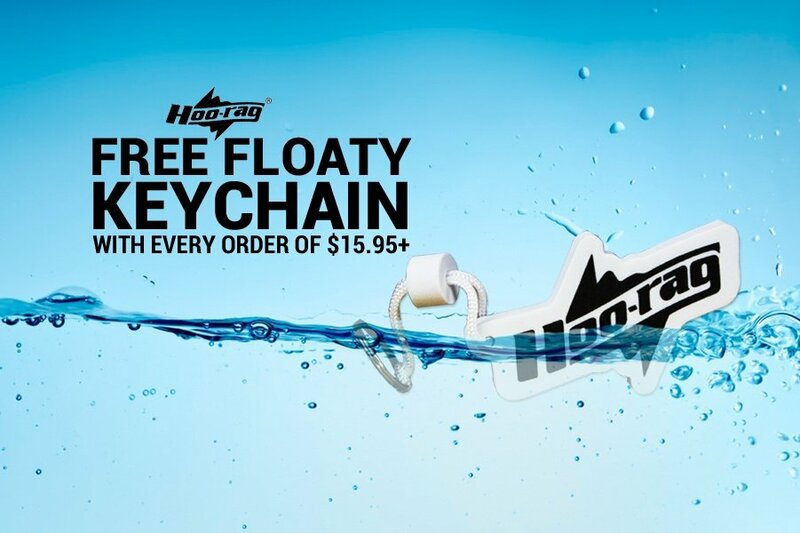 All orders of 15.95+ this weekend will receive a FREE floaty Hoo-rag keychain! If your order is eligible, you’ll see the keychain added to your cart automatically. Promotion is valid Friday 6/26 at 9 a.m. EST thru Sunday 6/28 at 11:59 p.m.. Not valid with any other offers.